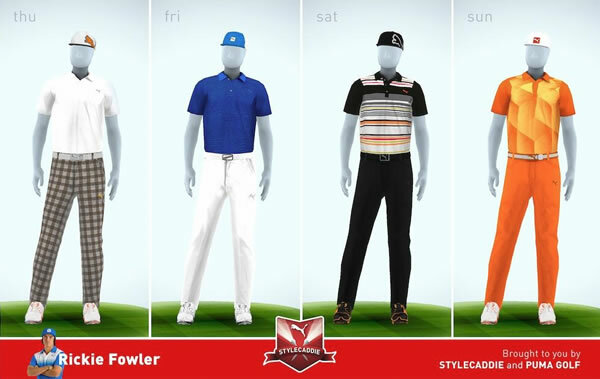 We are exactly one week from The Open Championship, and whilst players are getting their games ready for the tight fairways and deep bunkers of links golf, their clothing manufacturers are busy preparing their looks. With the weather at Muirfield next week looking good for now, chances are you will actually see some of these clothes rather than them being hidden by waterproofs, as has been the case in recent years. 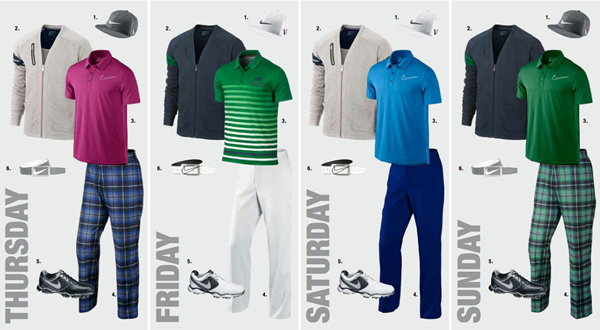 First up is recent US Open champion and former Golfalot player, Justin Rose and his looks by Ashworth. In addition to what is shown below, Justin will likely lace up a pair of Ashworth Cardiff shoes to walk the firm fairways of Muirfield. Sticking with TaylorMade Adidas (who also own Ashworth), the looks below will be worn by both Jason Day and Dustin Johnson along with Adidas' new lightweight adizero shoes. Whilst images of the new TaylorMade SLDR driver have been released, both Day and Johnson will stick with their R1 for The 142nd Open Championship. No prizes for guessing which 14-time major champion and Nike athlete will be dressed in red come Sunday, whilst also strolling the fairways in his very own TW'14 shoes. 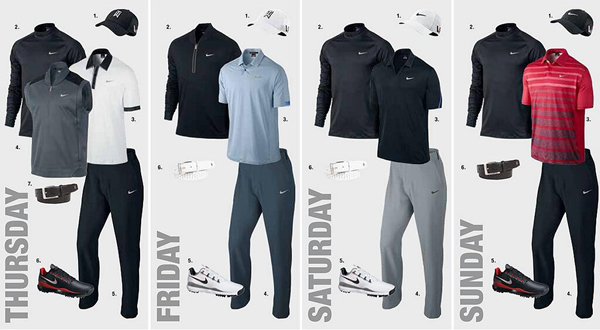 Number 2 at Nike and number 2 in the world rankings, Rory McIlroy has a slightly more colourful line-up for The Open, and prefers the comfort of Nike's Lunar Control shoes. 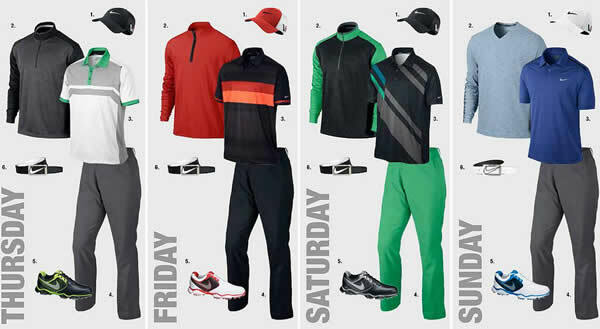 Nike have released scripting for all their players at The Open. Our favourite from the remaining group is this line-up scheduled for Thorbjorn Olesen. Last but not least (colourful) is Cobra Puma's Rickie Fowler. Known for wearing orange on Sunday, he will rock these looks along with his Puma AMP Cell Fusion shoes. Remember to enter for a chance to win one of Justin Rose's polo shirts.